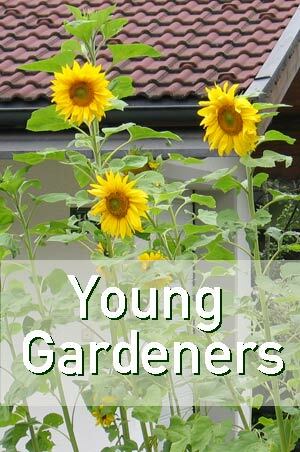 Calling all YOUNG GARDENERS. Church Crookham Garden Society is encouraging children to compete in their summer show for the Ryelaw Junior Cup (U17) and the Ryelaw Children’s Rosette (U7). This is an open class and can be entered free of charge by anyone. FREE Sunflower Seeds now available at our trading shed at the memorial hall car park for children U11 to grow and exhibit at the summer show (16th September) where the CCGS Junior Summer Cup is up for grabs. The trading shed is open from 10:00am to 11:30am on Saturday mornings from the 11th February to 16th September where members can buy gardening products at reduced prices. The society is open to adults at £3 and couples at £5 pa with children under 17 free. Membership for adults is a requirement for buying from the trading shed, entry to: the shows, the AGM & Quiz and the Harvest Supper for which there is NO CHARGE. You can join at the Trading Shed where our volunteers will be delighted to help.